If eating is a delight for the senses, then prepare yourself for a visual feast. A Vancouver woman is taking the baking world by storm with pies that look a lot more like fine art works. Armed with skilled hands, patience, and plenty of pastry crust and fruit filling, Jessica Leigh Clark-Bojin makes masterpieces she later eats with her six-year-old son. 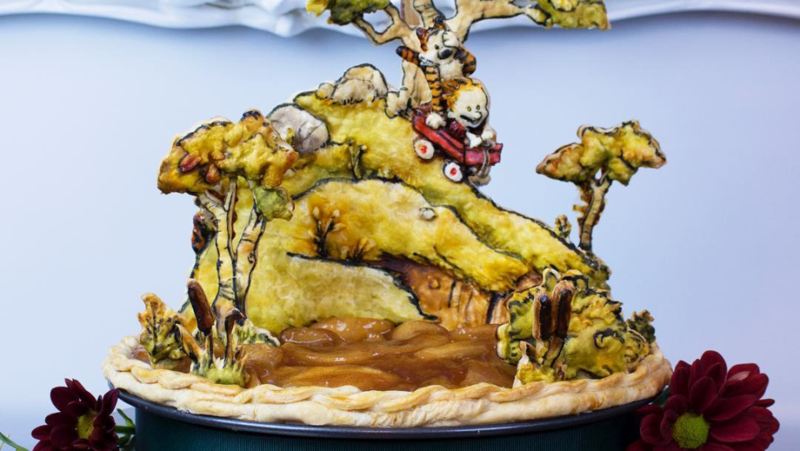 A self-described "pie-oneer" with a penchant for puns, Clark-Bojin is taking her epic pie art to a whole new level. And she documents every delectable dessert she makes on her Instagram page, with the cheeky handle “@thepieous”. Each pie features top-notch designs with themes covering everything from cartoon characters, to film and TV stars and celebrities. She’s not above creating a good self-pietrait, or throwing in a pie pun either. 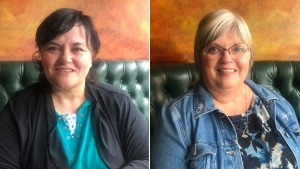 Clark-Bojin draws on her artistic inclinations from her day job as a filmmaker to feed her real passion: creating over-the-top, eye-catching pie art. And she openly shares that passion on social media, where thousands of followers can watch her YouTube tutorials to pick up techniques, trade tricks and tips. Often, Clark-Bojin will get ideas from her fans on what pie creation to make next. She's even written a cookbook dedicated to “pie-modding,” a way for bakers to modify and elevate pre-made desserts into epic, edible works of art. That’s one way to keep your eyes on the pies.